Aric Almirola and the No. 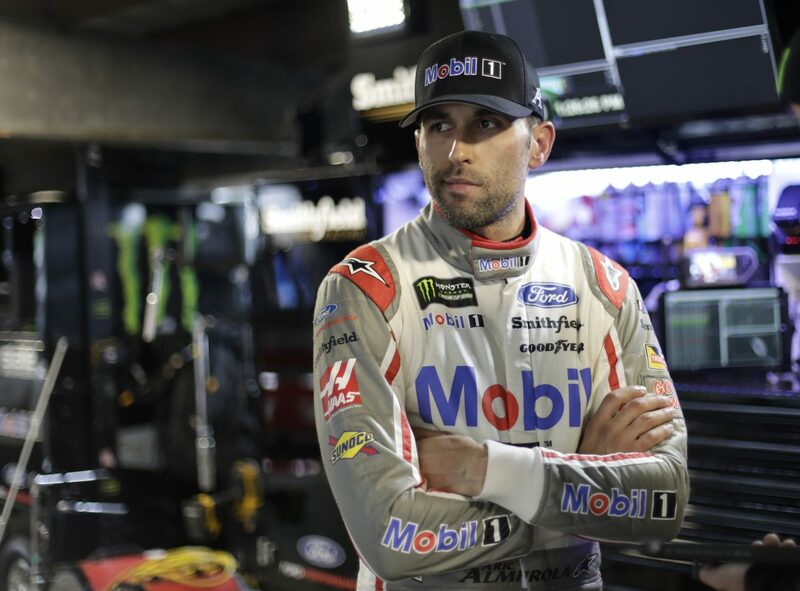 10 Mobil 1 Ford Fusion team for Stewart-Haas Racing (SHR) head to Michigan International Speedway in Brooklyn for this weekend’s event at the fast, 2-mile oval. Almirola enters this weekend with momentum coming off of his seventh-place finish at Pocono (Pa.) Raceway. Michigan is the second time this season that Almirola has driven the No. 10 Ford Fusion with the Mobil 1 livery. The 34-year-old piloted the Mobil 1 Ford earlier this year at Martinsville (Va.) Speedway and garnered a 14th-place finish. Mobil 1 plays an integral role in SHR’s success. Mobil 1’s lubricant technology helps to reduce frictional loss in its Ford engines to maximize fuel mileage, increase horsepower and turn more rpm, providing an advantage over its competitors. Mobil 1 also helps reduce friction in suspension components, providing maximum tire grip as well as helping to reduce steering compliance to give its teams an edge behind the wheel. Not only does Mobil 1 help improve the on-track efficiency of SHR, but the on-track testing helps lead to new lubricant technology developments such as Mobil 1 Annual Protection, which allows drivers to travel up to 20,000 miles, or one full year between oil changes. Almirola has 11 starts at Michigan with a best finish of 12th earned in August of last year. He’s led three laps at the track nestled in Michigan’s Irish Hills region, and he has an average starting position of 21.6 and an average finishing position of 20.2. Almirola and the No. 10 team completed a one-day Goodyear tire test at Michigan in April. Just as Mobil 1 is vital to the success of SHR and its multicar operation, so is Ford. This weekend’s event is in Ford’s backyard, with the speedway located just over an hour west of its Dearborn, Michigan headquarters. In its 16th consecutive season as the “Official Motor Oil of NASCAR,” Mobil 1 is used by more than 50 percent of teams throughout NASCAR’s top three series. Almirola has earned three Mobil 1 Performance Awards this season, with his most recent coming after last weekend’s race at Pocono. Ford has earned seven wins so far this season with Almirola’s SHR teammates earning a majority of the victories for the blue oval – Kevin Harvick with five and Clint Bowyer with one. Harvick also captured the non-points-paying All-Star Race win at Charlotte. Ford has 36 all-time series wins at Michigan, second only to its 37 at Daytona (Fla.) International Speedway for the manufacturer. How is Mobil 1’s relationship with Stewart-Haas Racing? What do you think has made the difference for Stewart-Haas Racing this year? Why have you guys been so dominant?